Pelican Reef Villas is located on South Ambergris Caye (3 miles south of San Pedro Town) and has consistently been one of the top resorts on the island. Unit 20 is located on the ground floor in the back northern most building. The unit offers views over the pool towards the Caribbean Sea with a walkout veranda. 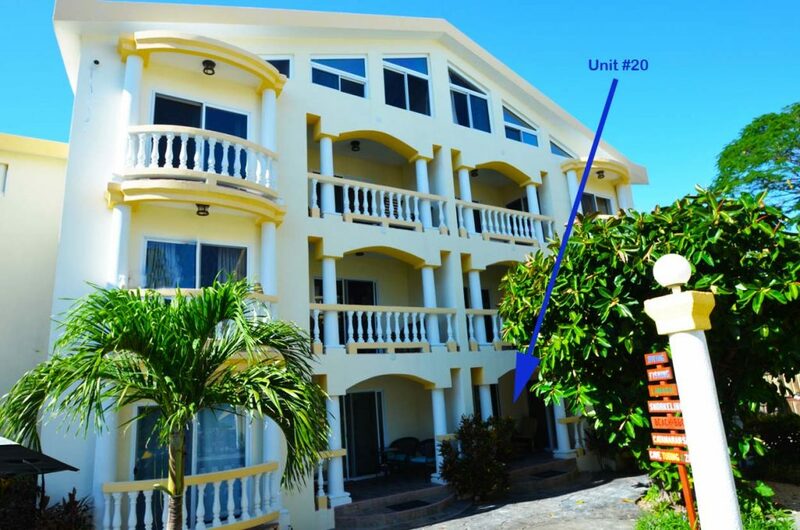 This is a two bedroom two bathroom condominium and it is being offered fully furnished and equipped. These units are very well equipped with stainless steel appliances, Central Air, Mahogany wood work and cabinets, granite counter tops/showers and surrounds. Each of the two bedrooms has an ensuite bathroom and there is a stack washer and dryer in the unit as well plenty of storage and closet space. The resort offers beautiful white sand beachfront, dock, swimming pool, tour desk, pool bar, restaurant and much more. If you are looking for a well managed/maintained unit in a consistently profitable rental program then this is an ideal property for you. Email us for more information about this property. Some of the images on Google Earth are out of date and may not accurately represent the area at this time. Property Size: 1,250 Sq. Ft.